United on a common platform to promote peace in today’s world faith leaders, politicians, diplomats and others came together at the Conference of World Religions in London earlier this year and explored the role religion can play in the process. “I hope and pray that we, who are representatives of different faiths and religions, and who are gathered here today to practically demonstrate these loving teachings, all strive towards worshipping the One God, by treating His Creation with and by fulfilling their due rights. 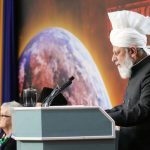 Certainly these are the original teachings of all religions,” said His Holiness Hazrat Mirza Masroor Ahmadaba, the Worldwide Head of the Ahmadiyya Muslim Community, during his keynote address at the conference. He also said there is a critical need to establish peace and faith in God in the world today. He asked world leaders to place greater focus on feeding the hungry, providing universal education and improving the living standards of people in the developing world. “I found His Holiness’s remarks to be very illuminating and I learned a great deal. One senses his profound understanding of the history and meaning of Islam. One wishes that more people could have the opportunity to understand the peaceful and tolerant way that your community practices its faith,” said Dr. Katrina Lantos Swett, Vice Chair of the United States Commission on International Religious Freedom. ‘A splendid evening, informative and enjoyable, demonstrating the possibilities of faiths coming together for the good of the community and to the glory of God – A privilege to have attended,’ said Rt Rev Peter Brignall, Bishop of Wrexham Catholic Church. 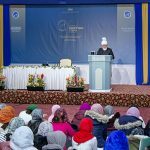 The conference marks just one of the many events that have been spearheaded by Hazrat Mirza Masroor Ahmadaba that aims to spread a message of peace throughout the world. 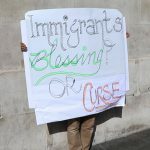 He has taken his message to Capitol Hill in Washington, the European Parliament in Brussels and the Houses of Parliament in London to name a few. 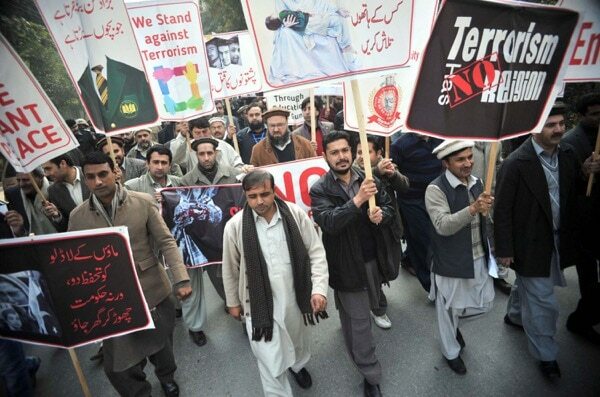 “Speaking from an Islamic perspective, we should strive for the entire world to unite together. In terms of currency the world should be united. In terms of business and trade the world should be united. And in terms of freedom of movement and immigration, cohesive and practical policies should be developed, so that the world can be united,” he said during his address at the European Parliament in 2012. In 2003 the community initiated their Annual Peace Symposium in the UK. The event was intended to generate greater understanding and tolerance and respect for all faiths. 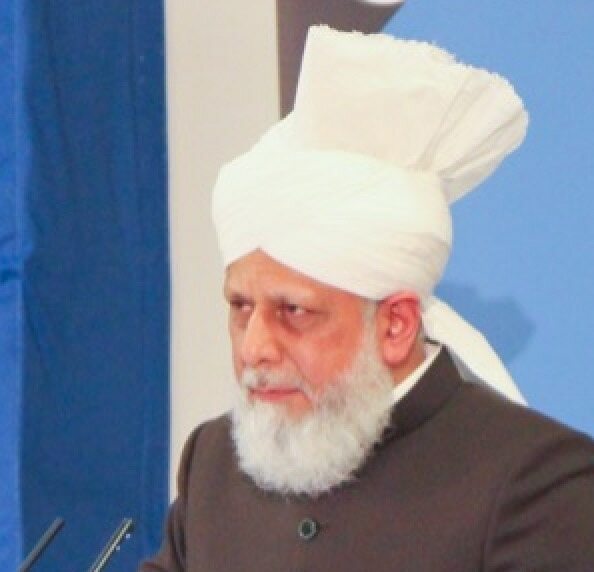 During the symposium in 2009, Hazrat Mirza Masroor Ahmadaba established the Ahmadiyya Muslim Prize for the Advancement of Peace. The first prize was awarded to Lord Eric Avebury, an international human rights advocate. ‘Love for All Hatred for None, if that’s the message that we can spread across the globe then we will cure all these conflicts,’ Avebury said on accepting his prize. This is not the first time the Ahmadiyya Muslim Community has been involved in such conferences. The call to peace was the message of the founder of the Ahmadiyya community, Hazrat Mirza Ghulam Ahmadas. In 1891 he claimed to be the Promised Messiah and Reformer, whose advent was foretold by the Holy Prophet Muhammadsa. 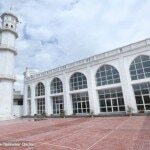 He later established the Ahmadiyya Muslim Community in 1889 under Divine guidance. His work was carried on by his Successors or Caliphs, who aim to unite the world under one message of peace. Hazrat Mirza Ghulam Ahmadas had a vision for interfaith conferences to be held around the world to unite all religions on a common platform. ‘Our God has never discriminated between one people and another,’ the Promised Messiahas said. 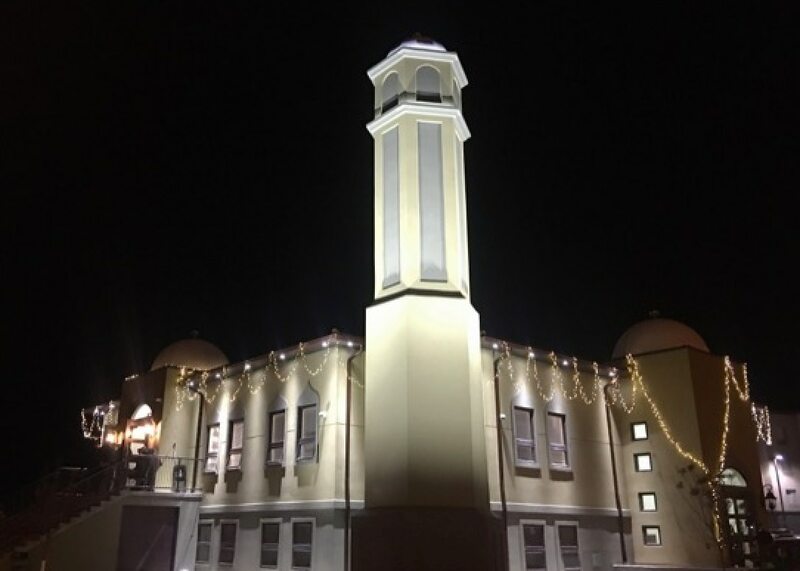 He also said that every participant to these interfaith conferences should ‘present his faith’s excellences and not malign others.’ Such conferences hosted by the Ahmadiyya Community continue to be one of its hallmarks. In 1924 ‘The Wembley Conference of Living Religions’ was held in London. According to a published account of the conference, the event was set out ‘to bring together in conference, for the first time in history, the leading representatives of the great historic religions of the world.’ The event was held over 10 days and had 30 speakers from various faith groups across the world. The conference was chaired by Sir E Dennison Ross, the first director of the School of Oriental and African Studies (SOAS) in London. Hazrat Mirza Bashir-ud-Din Mahmud Ahmadra the Second Khalifah (Successor) of Hazrat Mirza Ghulam Ahmadas was invited to speak at this event. His speech was received with much praise and was later published under the title ‘Ahmadiyyat or the True Islam’. Focus on social justice and peace in society dates back to all the Abrahamic faiths. The Holy Prophet Muhammadsa brought about major social change. His life has been documented as a constant struggle against greed, injustice and arrogance. Upon his return to Makkah following seven years of exile, he forgave all those who had fought against the Muslims and committed atrocities against him. “If the object of religion be the inculcation of morals, the diminution of evil, the promotion of human happiness, the expansion of the human intellect, if the performance of good works will avail in the great day when mankind shall be summoned to its final reckoning it is neither irreverent nor unreasonable to admit that Muhammad was indeed an Apostle of God,” Samuel Parsons wrote in 1904 in his book ‘History of the Moorish Empire in Europe’. The Prophet Jesusas faced crucifixion for preaching about the values of peace and brotherhood. Christian leaders today still follow his example. In May, Pope Francis made an unscheduled stop at the concrete barrier that is being built in Israel and around the West Bank to offer prayers for peace. The unscheduled stop came after he called for an end to the ‘increasingly unacceptable’ Palestinian-Israeli conflict. 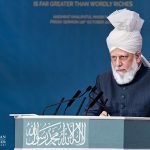 Hazrat Mirza Masroor Ahmadaba has been acknowledged by a wide spectrum of people, both senior dignitaries and leaders as well as ordinary people, as a true driving force towards world peace. Britain’s Prime Minister David Cameron praised His Holiness as ‘The Man of Peace’. ‘I am resolutely behind your desire for world peace and hope that the conference will be able to reinforce that message as one that all the major faiths share,’ said the Archbishop of Wales in a message to Hazrat Mirza Masroor Ahmadaba. His Holiness has managed to gain many supporters through his efforts to promote universal peace. “In order to protect ourselves and to save mankind we need to turn towards God Almighty and we need to attach ourselves to that Living God who did not forsake the Prophet Mosesas and his people and nor did He forsake the Prophet Jesusas and his disciples. Nor have true Muslims been deprived from attaining the blessings of God and seeing their prayers accepted,” said Hazrat Mirza Masroor Ahmadaba.